Earl the Office Manager Cat is in charge. Earl is an enterprising young man. He started working at Little Woman Home for Animals, a non-profit, no-kill sanctuary, as a warehouse clerk and rose quickly to Office Manager. As Office Manager at the Little Woman Home for Animals (LWHA), Earl loves to promote the wonderful work the sanctuary does to help our animal friends. 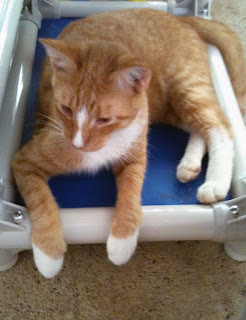 He'll feel he's really done his job if you take the time to look at some of LWHA's adorable cats seeking forever homes. Meet kitties, Brookshire and Joey, below. Or consider becoming a sponsor. 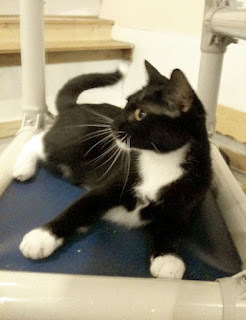 In the slideshow, "Earl the Cat's Rise to Office Manager," witness how the savvy feline climbed the ladder to success. LWHA has high praise for Earl, "His playfulness and utterly charming ways has made him a hit with staff and visitors alike from Day One." Earl works at the 14-acre, unspoiled animal sanctuary, an hour north of Houston, Texas. The sanctuary's mission is to provide "lifetime care to abandoned, unwanted animals while actively seeking homes for their placement." The sanctuary was started in 1999 by Dr. Carlos Arreola as a home for burros that were to be eradicated from their home in the Grand Canyon. The name of the sanctuary comes from a Chihuahua rescued over 35 years ago from an abusive situation. Earl is quite the kitty. I hope that lots of kitties find their forever homes through this great shelter. Earl seems like a great cat! That's really neat! I just got a job, too. We should get together sometime and compare notes. Earl, you are doing a terrific job! 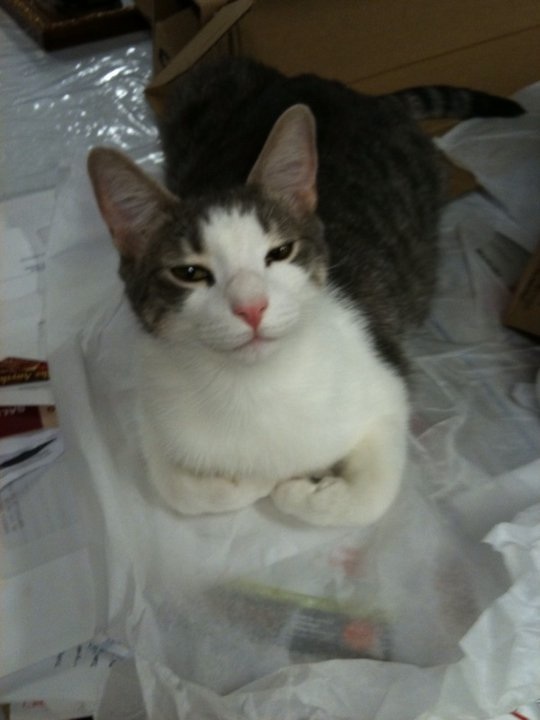 We have our paws crossed that all the kittehs at Little Woman Home for Animals find homes real soon. Wow, Earl does a great job there! You sure look proud Earl, and you sould!!!!!! Earl has begun a successful career. His ambition will take him far up the corporate ladder! Kudos to Earl!